The wood decor caught our eye first thing at J. Murphy’s, except with a current twist. The big wood booths sported their own flat television screens. 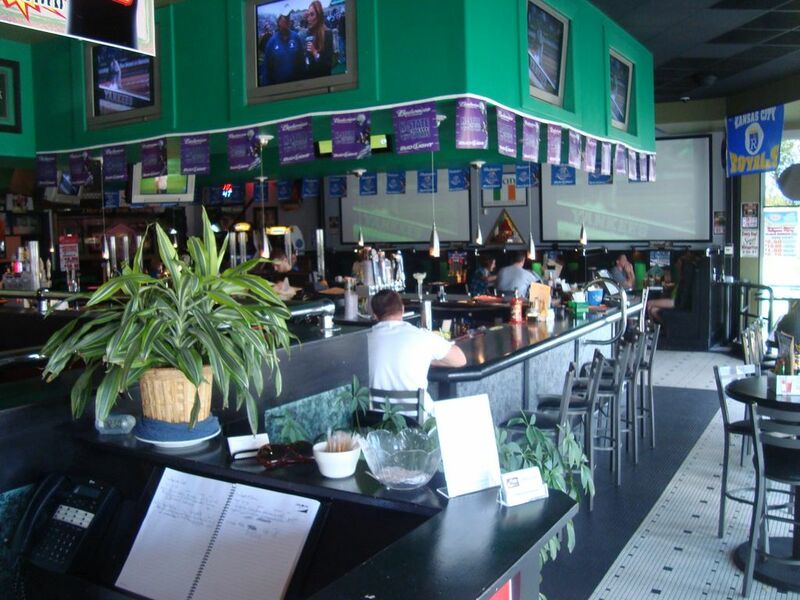 On top of that, there we big flat high definition screens across the bar are, with 2 projector screen staking front stage. All of the required packages for viewing were there with satellite and the Big Ton network taking hold. If you ever wanted to book a private party, yo ucan in their sectioned off Dublin Room. If you wanted to check your email or the spread you most certainly can with their free wireless internet. All in all J. Murphy’s had all of the right tools to have a good time. The game setup bolted in tightly with the J. Murphy’s rig as well. Silverstrike Bowling 2009, Golden Tee Live 2009, MultiTouch Games, Darts and Foosball all helped to make it a good time, even though Foosball ate our quarters. But the real magic came with the Ms. PacMan/Galaga. We saw it at barspots before but now we were ready to take it on. First thing we notices was that the original PacMan also was an option for the game. For those of you who don’t know, PacMac was the quintessential arcade game of the 80’s. The history and tradition of PacMac is on par with the of the history and tradition of a big time college football program. So we fired in 50 cents (the price was not old school unfortunately) and played our hearts out. If you have not played PacMac, you should go do it first thing after you read this article. The first the we read when our waitress showed was TILT. She wasn’t really helpful and really didn’t know how to turn the channels, not to mention being a little uneasy on the eyes. Once the bartender guy showed up, however, our attitude completely changed. He hooked us up with different games on most of the TVs and brought our orders out super fast. Much later in the afternoon, the more attractive waitresses showed up. There seems to be a culture of having the morning/afternoon shift help be small in numbers and low in attractiveness while the evening/night help tends to be more in numbers and hotness. Normally this would be okay but on football Saturdays, you need the best all the day around. The best J. Murphy’s had to offer food wise is in their traditional Irish food, not their regular food. 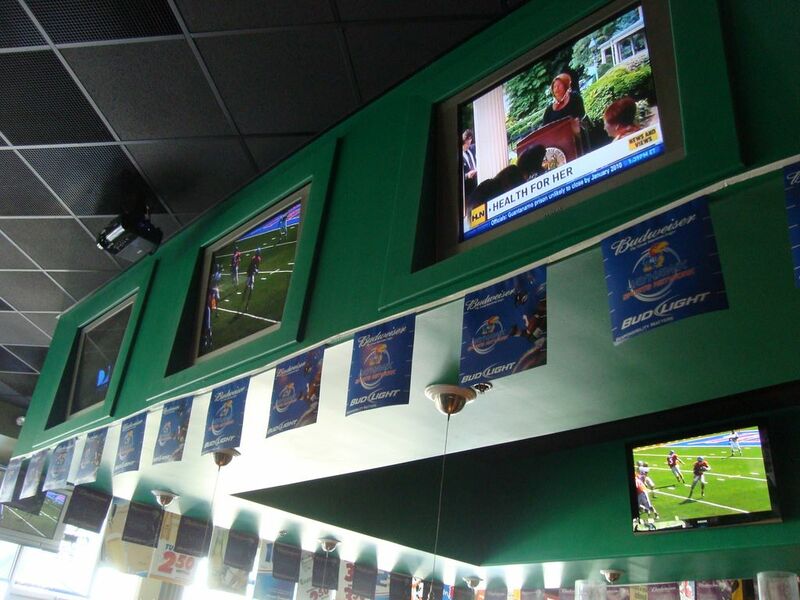 The specials for the day included $2.75 Boulevard drafts, $3 big draws, and $10 PBR beer tubes. 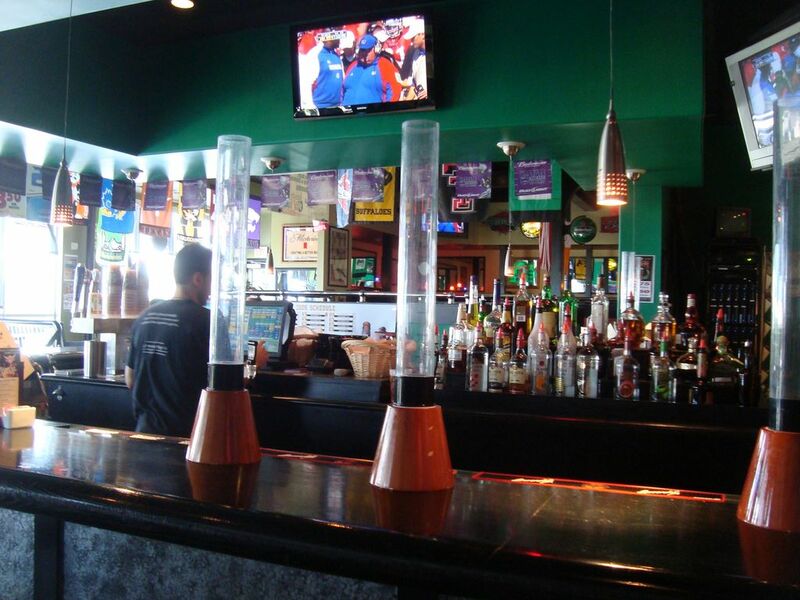 Yes, it’s been awhile but we saw the new and improved version of the beer tube from beertubes.com. 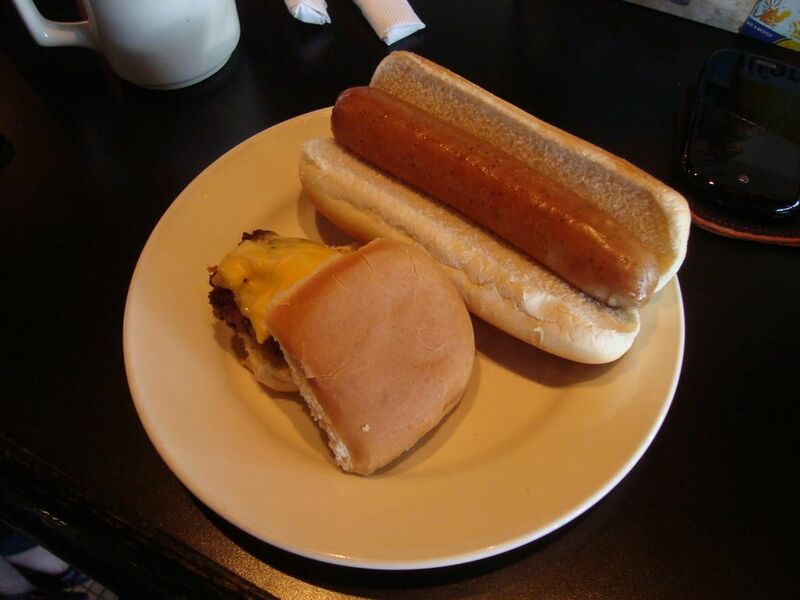 Instead of 50 cent wings, they had $1.75 sliders and brats. Being daring and all about the specials, I took in a slider and a brat. Get the slider and make sure the onion is on it. For the real meal later on, I dug right into a good ole fashioned Shepard’s Pie. 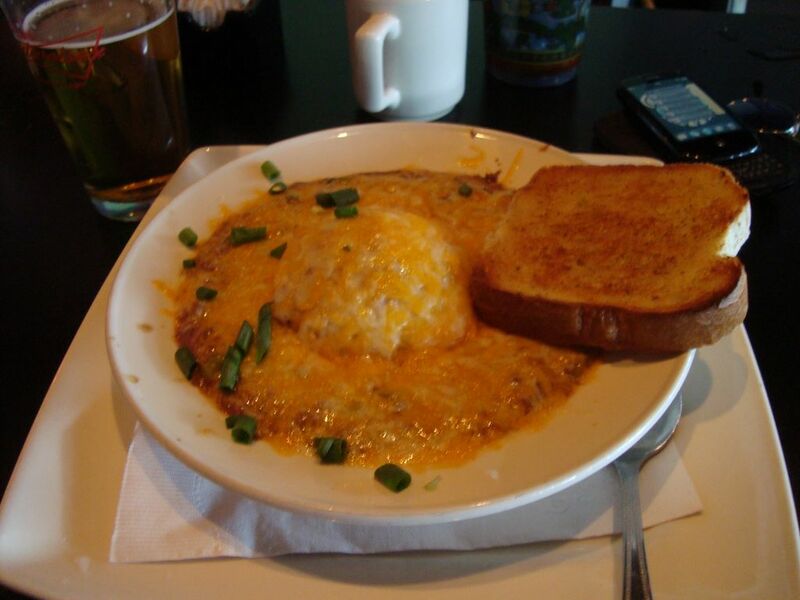 Complete with beef and veggies stew, champ (or mashed taters), cheese, and gravy Shepard’s Pie brings the best of all the food groups into one big mush. It helped keep the PBR settled nicely. We settled down in the middle of the bar to watch games. The first set of games were good but the second set were strewn with blowouts. South Florida surprised everyone and ran away with the game against Florida State. Indiana got hosed big time against Michigan in the Big House. Seriously, the Hoosier were screwed out of an upset on a missed possession call for a turnover late. LSU, on the other hand, did not need help to stave off Mississippi State and their upset hopes by stuffing a goal line stand late in the game. The afternoon games were yawn city. Alabama rolled Arkansas and Virginia Tech surprisingly blew the wind out of Miami’s sails. We wished we had the chance to watch Iowa upset Penn State later on in the night. Big 12 wise we had some meaty competition. We showed up right when the second half kicked off for the exciting Kansas vs Southern Mississippi game. The Golden Eagles rolled in undefeated and no one was sure how they would match up against the Jayhawks. After watching a half of play, I can say that Southern Miss. is tough and the Jayhawks avoided a scare. The other Big 12 game we had the pleasure to watch was Texas totally destroy UTEP. Colt McCoy was responsible for all of UTEP’s points with a pic six. Everyone else took care of business this week and the only other close game we missed was Houston narrowly beating Texas Tech. 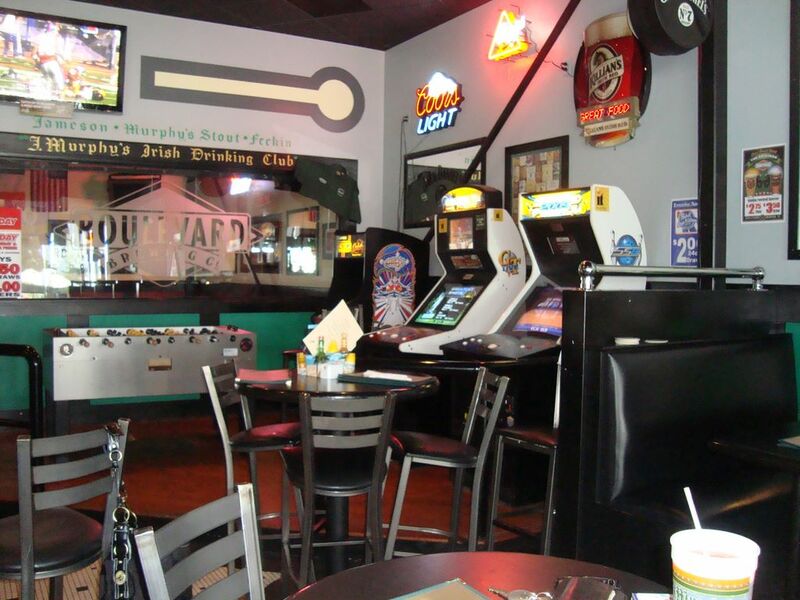 J. Murphy’s Irish Pub and Grille is close to hitting the big time. 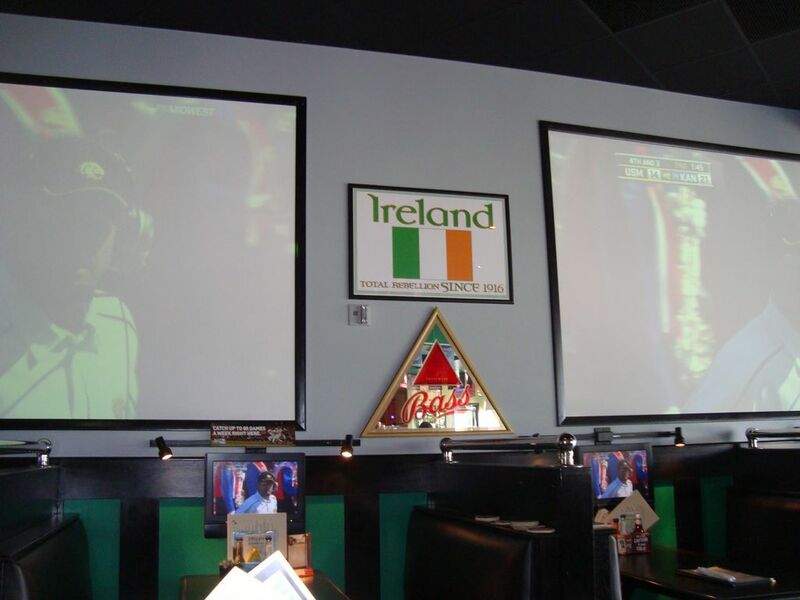 We loved the TV spread, the authentic Irish food, the great beer specials, and most of the staff. What’s missing are the people. You could hear a pin drop at times while we were watching a game. We’re pretty sure it’s the location. They are way out west and it’s hard to get a population of people out there. If they can hang on to business there for the next couple of years, we can guarantee J. Murphy’s will be a mainstay for years to come. For now, if you are ever out there, please hit them up and get some Irish grub while you are there. You’ll thank your Lucky Charms you did.